Boil the pasta in a little slightly salted water and cook until all the water has been absorbed. Use a blender to achieve a consistency like thick patisserie cream. Fold the yolk and the egg whites whisked into firm peaks with the sugar into the mixture. Cook in the oven at 230 °C for about 18 minutes. 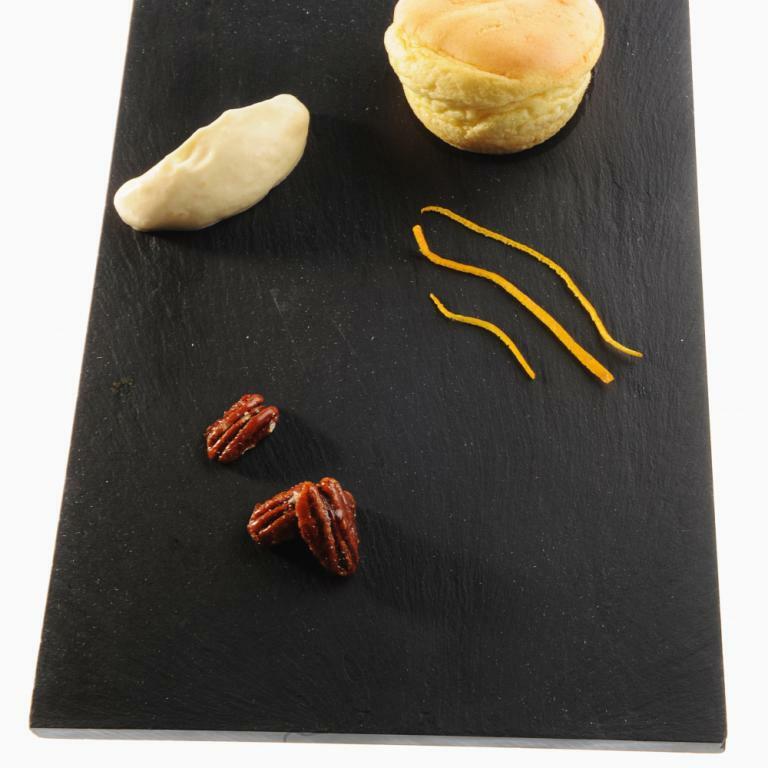 Serve with a quenelle of pecan nut ice-cream, candied orange zest and pieces of Pecan nut crunch.